Cwm Ivy is on Gower’s quieter north coast – quieter because it can be a bit of a trek from the nearest car park to the beach and, apparently, some people have a problem with that. Not so dog walkers, for whom a brisk stroll to Whiteford Sands – and the stretching, empty beach to play chase on when you get there – is a delight. Follow the Wales Coast Path alongside the saltmarsh to the estuary, loop round to the lighthouse (the last remaining iron one in Europe) and return along the beach. 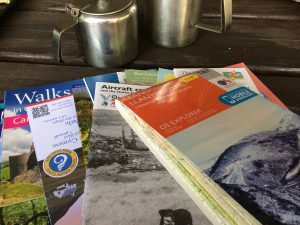 The promise of tea and slabs of homemade pie when you get to Cwm Ivy Cafe & Crafts – plus those marsh views – will keep hounds and humans going back up the long hill at the end of your walk. 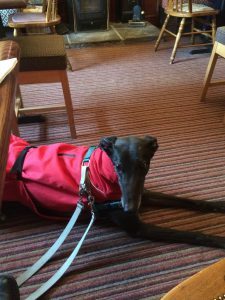 Well-behaved dogs are welcome in the downstairs area of the waterfront Coast Cafe, the perfect spot to watch the boats go by while contented owners tuck into coffee and cake. Work it all off with a stroll along Swansea Bay’s famous promenade where, if you feel particularly energetic, you and your pooch can walk all the way to Clyne Gardens or even the Mumbles, home of the legendary Joe’s ice cream… (oh, sorry, am I talking food again?). 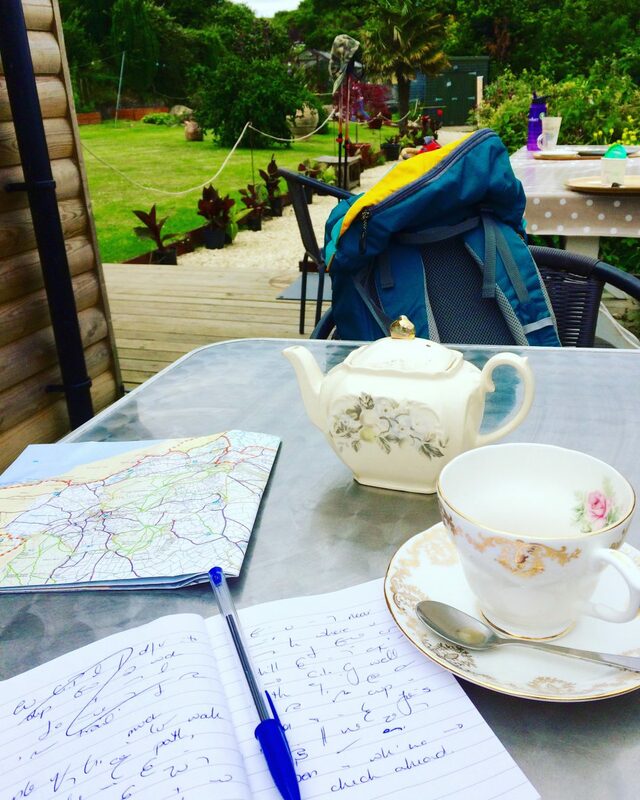 A tucked-away treasure for those in the know, Llanerch Vineyard is one of my favourite spots to sit quietly and attempt to make sense of my trails book notes. Just five minutes off the M4 at Hensol, it’s close to Cardiff yet deep in glorious countryside. Canine companions get a genuine welcome in the Cariad Bistro but, even though described as the ‘informal’ part of this lovely vineyard and B&B, it’s not really one for muddy boots and dirty paws – posh pooches only need apply. Ok, strictly speaking you can’t take your pooch inside Cedars Tearoom, but dogs are very welcome on the balcony seating area outside. And, as the visitor centre is set high in the stunning Afan Valley – Wales’ ‘Little Switzerland’ – these are without a doubt the best seats in the house. Afan Forest Park is the place for mountain biking, with some of the best trails in Europe, as well as 14 way-marked walking trails, from a one-mile ramble to 10-mile treks. All the better for working up an appetite to tackle the sensational butternut squash burger, if you ask me. Visiting Bridgend? Cedars also has a tearoom at Bryngarw Country Park in the Garw Valley. Packed to the 500-year-old rafters with historic charm, The Bear was originally one of four coach stops on the Fishguard to London road. The warming welcome received in bygone times by weary, near-frozen travellers continues today – and is extended to doggie diners, who are welcome everywhere but the restaurant. 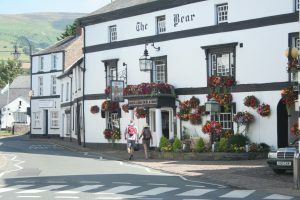 Being deep in the Brecon Beacons National Park, Crickhowell is very firmly a ‘Walkers are Welcome’ town, and The Bear is the place for a hearty breakfast before setting off to climb Table Mountain – small but challengingly steep! Renowned as the re-fuelling station for bikers across the Beacons, the West End Cafe doesn’t seem like an obvious place to take your dog, from the revved engines and colourful chatter around the pavement tables out front. 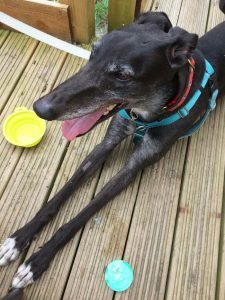 But venture round to the rear and you’ll find a secluded and tranquil courtyard with plenty of tables, a large shelter and water bowls dotted about the patio. We highly recommend the hot chocolate and cheese toasties (for the humans, obviously). Got your own favourite dog-friendly cafe in south Wales? Let me know about it and I’ll include it here!